Yes! I read these two back to back even though they were far too emotionally draining. And it was through Seth that I realized what a fabulous author Ryan really is. She manipulated my feelings for him so easily, turning me this way and that, from outright hatred to pity and understanding, until yes, he ended up being the only sane person around. I'm so glad you're enjoying these! We can fangirl together on January 7th. I never made it past the first book, unfortuantely. Though your review has me a little tempted to pick up Glow again. "Needless to say, that last page is a liar as Flame releases January 7th, 2014." So glad this second book was such a success Keertana! Second books that hold their own against epic first books are few and far between, so I simply must read this series! I remember Maja loved this series too Keertana, so I'm glad to see that it left such a great impression with you. 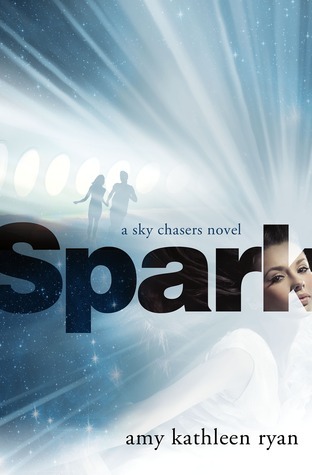 Second books that I've read in a series, haven't been working that great for me so far, but I'm glad to see Spark didn't suffer from any middle book syndrome! I hope the next book lives up to your expectations too! Gorgeous review!